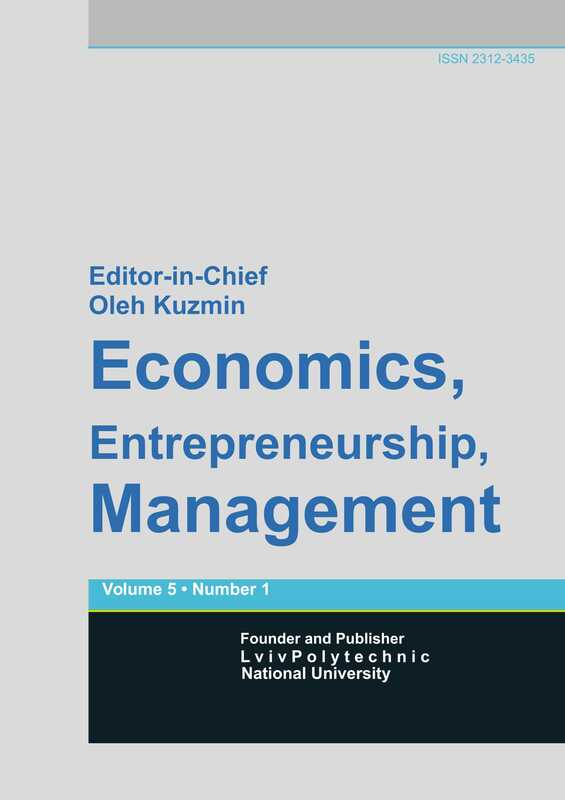 «Economics, Entrepreneuship, Management » journal is a peer-reviewed international scientific economic publication, the basic activity of which is publication of scientific articles with the aim of their distribution among scientists both in Ukraine and abroad. The mission of the journal is to provide members of the scientific community with equal opportunities to publish results of their research and freely distribute them. • support of young scientists. • strict observance of the schedule of the journal publication. Editorial staff of the journal condemns signs of plagiarism in articles as violation of intellectual property rights and scientific ethics and takes all possible measures to avoid it. 1. The present regulations regulate the order of reviewing and handling articles that are delivered to the Editorial Board of the «Economics, Entrepreneuship, Management» journal. 2. Aim of reviewing – increase of quality of scientific articles published in the journal by means of assessment of materials by highly qualified experts. 3. The review procedure is anonymous both for reviewer and for the authors and is performed by two independent reviewers (double “blind” reviewing). External reviewers are domestic and foreign PhDs that have scientific works on the subject-matter declared in the article. 4. All reviewers shall stick to requirements of the Committee on Publication Ethics with respect to ethics in scientific publications and to be objective and impartial. • what exactly are positive sides and shortcomings of the article; what corrections and additions (if any) should be introduced by the author. 6. Only those articles, which were prepared in strict accordance with the «Article requirements» and that passed primary control of the Editorial Board, would be passed over for reviewing. 7. In the event of availability of remarks at the stage of primary control, the article can be sent back to the author on the grounds specified in Clause 5 of «Article requirements». 8. In the event of observance of the above listed requirements, a copy of the article is passed over to the Production Editor. 9. In the event of refusal to publish or when revision is needed, the reviewer/member of the Editorial Board should provide a written well-reasoned justification of such a decision. 10. Term of making recommendations – two weeks from the moment of receipt of the article. 11. Recommendations of reviewers are sent to the Production Editor via electronic mail. 12. The final decision with respect to the article is made during a meeting of the Editorial Board, which is held once a month and composed of: Chief Editor , Deputy Chief Editor, Members of the Editorial Board. The decision is made with consideration of the received reviews. 13. The article, which was accepted for publication, is handled further by the Editorial Staff in accordance with the production process of preparation of the article. 14. Decision of the Editorial Board is sent to the author(s). Articles that are subject to revision are sent to the author(s) together with the text of the4 review, which contains specific recommendations on revision of the article. Editorial Board guarantees anonymity of reviewers. 15. The revised variant of the article is sent for the second reviewing. The journal "ECONOMICS, ENTREPRENEUSHIP, MANAGEMENT " maintains a policy of open access to published material, recognizing the priority principles of the free dissemination of scientific information and knowledge exchange for global social progress. Users are free to read, download, copy and distribute the content for educational and scientific purposes with obligatory indication of authorship.